Josh Jakus is the designer of an incredible line of fashion accessories and home decor products made from pressed wool felt. My favourite collection of his is the UM Bags collection. His latest addition is the UM Shoulder Bag, shown above. 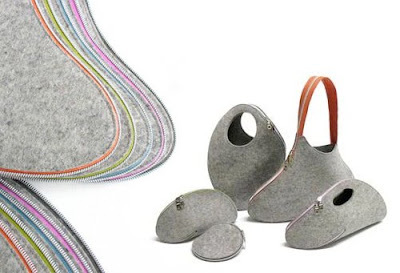 Each product is made from one piece of felt that twists itself into one complete form with colourful zippers! 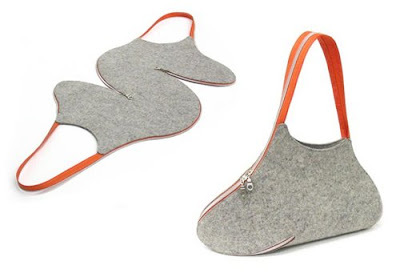 The idea with the zip as a handle/ strap and opening is from THE QUEEN OF FELT: Her famous TIPSY wine bag. See illu-stration.com and go to the online-shop.